NEW YORK – Why? That is the biggest question I ask myself when I hear about players talking in public about house business. I honestly wish Antrel Rolle could somehow reply to this story and tell us exactly what happened because players usually say their words were taken out of context. Until Rolle replies publicly about this, we have no choice but to take what he said from reliable writers and sources as the truth. I just shake my head every time I hear about a player talking about their feelings in public, when will these players learn to just keep their mouths shut in public? Now when I say players should keep their mouths shut, I am talking about them keeping their mouths shut to the press. I am talking about their personal feelings on another player or coach remaining private. This is not how New York football handles their business and the fans are beginning to get annoyed with Rolle. He is speaking to the press too much about Big Blue for someone who has only been on the team for one year. He happens to be dissing head coach Tom Coughlin, the only coach other then Bill Parcells to bring a Lombardi trophy to New York, since Super Bowl wins were recorded. I am in awe that Rolle would have the nerve to tell the press that Coughlin needs to lighten up because he feels it is effecting his fun. Your fun? Really Antrel? You know what is fun? Winning a Super Bowl is fun. Playing a season without 16 players landing on the IR List and not turning the ball over 42 times is fun. The Giants are a dangerous team when they are healthy and their second stringers aren’t making mental errors because of a lack of real playing time. The good news is that the Giants are now deep with players who have real game experience under their belts. But Antrel needs to calm down. He is a fan favorite and the players seem to respect him but he will learn what happens to people in New York who like to talk to much. This isn’t Arizona and the fans in New York do not like talkers. He does not want to become a pariah like Tiki Barber has to fans. I was equally surprised to hear that Kenny Phillips got into the mix and offered some equally judgmental comments. Phillips has been in town much longer then Rolle and I expect him to know better then that. The team stuck by Phillips when he was dealing with a serious injury and he must know that Coach Coughlin had the final word on all of that. All I have to say to Kenny is, come on man. My advice to Antrel Rolle is simple, the fans have accepted you, shown you love and respect your game on the field. Don’t take the weight of this city on your back because you can’t keep your personal opinions to yourself. You are not bigger then New York or the history of the Giants organization. Take it down a notch and enjoy the fact that you are playing on a solid 10-6 team that had some misfortune in 2010 but will be better in 2011. Think of the millions of New Yorkers and people around the world for that matter, who have to go to work everyday (if they are lucky enough to have a job) in an environment without any fun. You’re better then that Antrel, I know you are. 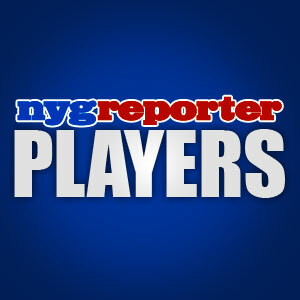 What are your thoughts about safety Antrel Rolle voicing his personal opinions to the press about Head Coach Tom Coughlin? This entry was posted on Tuesday, January 18th, 2011 at 12:57 PM and is filed under 2011 New York Giants, 2011 NFL Draft, 2011 NFL Regular Season, Big Blue, Chris Mara, East Rutherford, Eli Manning, G-Men, Giants, Giants Coaches, Giants Draft, Giants Front Office, Giants Roster, Giants Stadium, Jerry Reese, John Mara, Jonathan Tisch, Justin Tuck, Kevin Gilbride, New Jersey, New Meadowlands Stadium, New York, New York Football Giants, New York Giants, NFC East, NFL, NFL Draft, NFL New York Giants, NY Giants, NYG, NYG Blog, NYG Draft, NYG Exclusive, NYG Fantasy Football, NYG Regular Season, NYG Reporter, NYG Story, NYG Update, NYG Website, nygreporter, Pat Hanlon, Perry Fewell, Steve Tisch, Tom Coughlin, Tom Quinn. You can follow any responses to this entry through the RSS 2.0 feed. You can leave a response, or trackback from your own site. Kenny Phillips went on ESPN today to clarify the comments made yesterday. I applaud Kenny for doing the right thing and letting the fans and Giants organization know that he appreciates his job with the team and has no ill will towards Tom Coughlin or the front office. This is the first time that I can recall Phillips involved with anything like this so he certainly gets a pass. It would be nice if Antrel Rolle came out and confirmed Kenny’s comments or made some of his own. We know that Rolle is a passionate and fiery guy but this isn’t his first time talking in public about personal feelings. Do the right thing Antrel, New York still has love for you! I think he will be alright. He had to hear what the fans were trying to tell him and he doesn’t want to become the next Tiki Barber.